On course for victory. The Last Day in action at Carlisle. 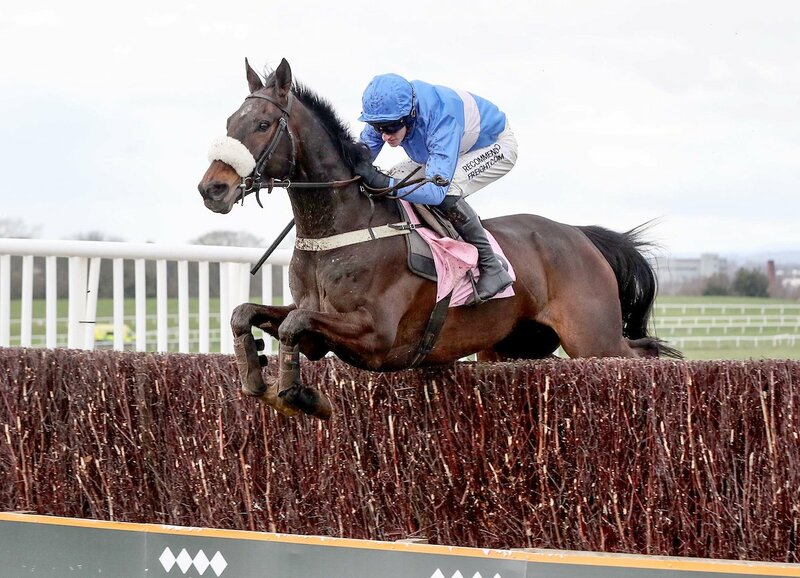 Llancarfan trainer Evan Williams had a winner at far-flung Carlisle when The Last Day came out on top (writes Brian Lee). The Last Day had been a runner-up in two previous starts. Stable jockey Adam Wedge was on board and seven-year-old The Last Day went off the 4-9 favourite in a Racing TV.Com Novices’ Chase field of four runners. They earned the win by eight lengths from Trongate, ridden by Ross Chapman. Williams had several fancied runners scheduled at the rained-off Ffos Las meeting on Sunday, but the jumps meeting was called off due to a waterlogged course following an inspection on Friday afternoon. Officials at the Welsh track had been due to look at conditions on Saturday morning, but were forced to make an early decision after 15 millimetres of rain fell overnight on Thursday following eight millimetres the day before. Madness are heading to Ffos Las Racecourse in West Wales. The group are set to play after racing on Saturday, May 25. Tickets are now on sale for £40pp (£45pp on the day). Children’s tickets (Aged 17 & under) are £20pp and are available to purchase on the day from the racecourse with proof of age. Ffos Las have a Food and Drink Festival raceday on Sunday, April 7.